D4 Dance has opened doors for young dancers to showcase their performance on stage. The show makers have tried to incorporate basic elements which have lifted the show to International standard. Packed with interesting dance steps, each episode of D4 Dance has a visual treat for the small screen spectators. D4 Dance, the most watched dance reality show aired in Mazhavil Manorama has reached the final stage. 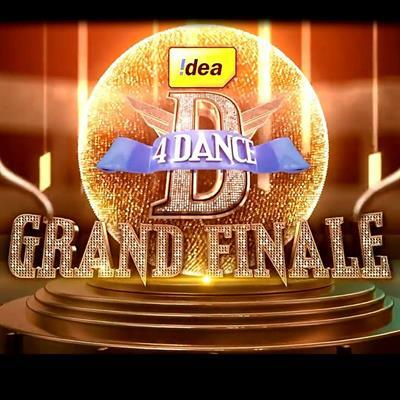 Idea D4Dance season 1 grand finale will be telecast on 29th November 2014 from 7 PM onwards. Ramzan Muhammed, Ajaz Kollam, Swathi, Ashique and Dilsha Prasannan are the finale contestants. Popular actress Shobaba will be the chief guest on the occasion encouraging the participants and anchors. The event will be blessed with vibrant dance performances from the finalists, anchors Govind Padmasurya and Jewel Mary. Ramzan Muhammed from Muvattupuzha, Ajaz of Kollam, Swathi from Ernakulam, Ashique who hails from Malappuram, Dilsha Prasannan of Calicut will compete for the crown. Being one of the most popular TV show in viewership, the program has lifted the ratings of the channel. D4 Dance Season 1 started with 18 contestants and reaches the final stage with 5 of them selected for the jumbo finals. Viewers will get hours of entertainment with fun and energetic presentation on the stage. The 5 final contestants will shake their leg before the invited guests. D4 Dance won the hearts of millions for its majestic team work. Judges Prasanna Master, actor Priyamani and Nirav Bavlecha, hosts Govind Padmasurya and Jewel Mary have lifted the show to another stage. GP and Jewel have impressed the viewers with their unique style of comparing. So do enjoy hours of entertainment offered by the young dancers. The audition of the D4Dance season 2 has completed in various cities. Idea D 4 Dance reality show is aired on Friday, Saturday and Sunday between 8 pm to 9 pm.